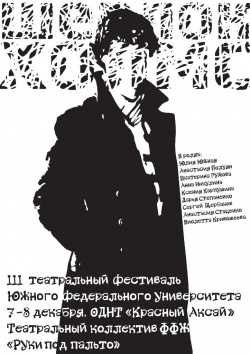 Шерлок Холмс (Sherlock Holmes) is a Russian ballet performed at Theatre Festival SFU (Rostov-on-Don, Russia) by the Department of Philology and Journalism of Southern Federal University on 7 and 8 december 2013. 12 minutes. This page was last edited on 25 August 2016, at 20:56.